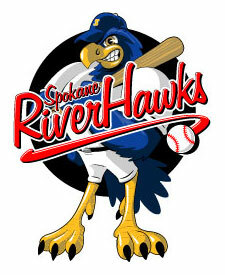 The RiverHawks are a collegiate invitational baseball team (premier NCAA athletes from around the Northwest region are invited to play in Spokane). The Hawks play in a league of 8 teams called the West Coast Collegiate Baseball League (see www.wccbl.com for more information), but theirs is the only team in the league that operates as a non-profit organization. All the net proceeds from sponsorships, tickets and souvenir sales are donated back to youth baseball in the Spokane Community (Little League, Legion, SYSA, YMCA, etc.). The RiverHawks play a season of 20-25 home games annually, split between Patterson Baseball Complex (at Gonzaga University) and Avista at the Fairgrounds (home of the minor league Spokane Indians). The team is owned by Irv Zakheim, President of Zak Designs, Inc. For more information on the Spokane RiverHawks, including ticket information, please visit www.spokaneriverhawks.com or call #509.244.HAWK (4295).